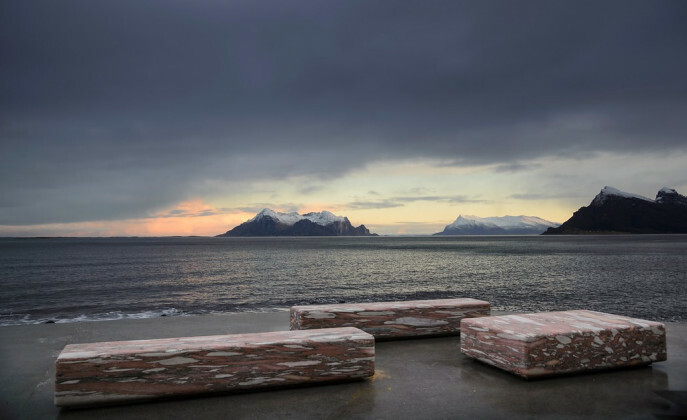 The “Uredd” site along Norwegian Scenic Route Helgelandskysten is frequently visited both by tourists and local residents. The most important qualities and characteristics of Uredd resting place are the view to the north and the midnight sun. 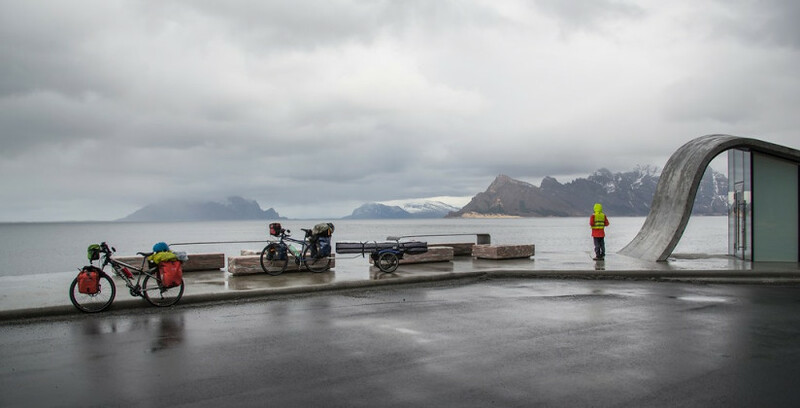 The view to the fjord is magnificent, facing the mountain summits as well towards the vast open Norwegian ocean. 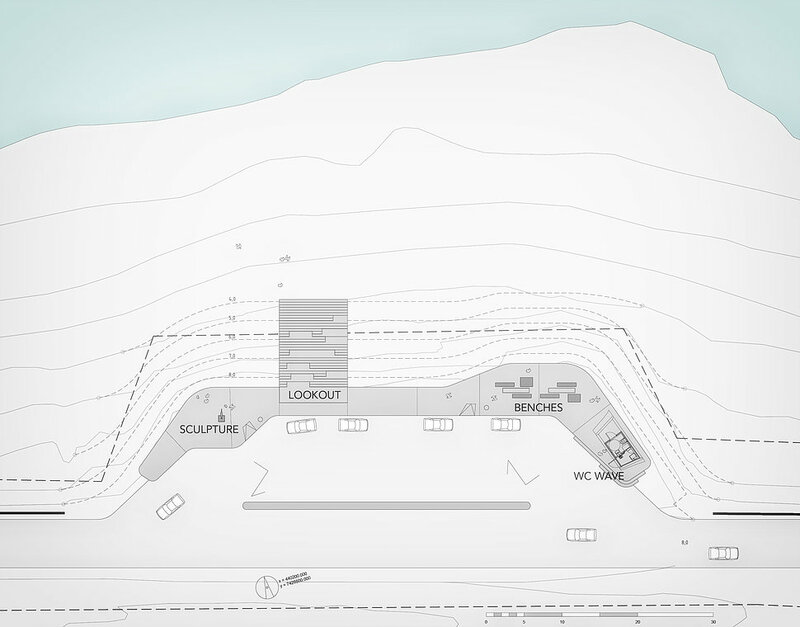 The existing site is redesigned to satisfy the Scenic Route project requirements of architectural quality as well as services to the public. 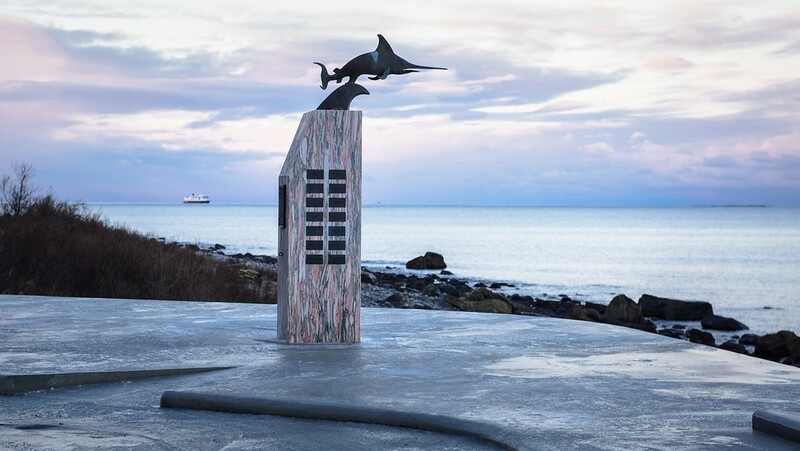 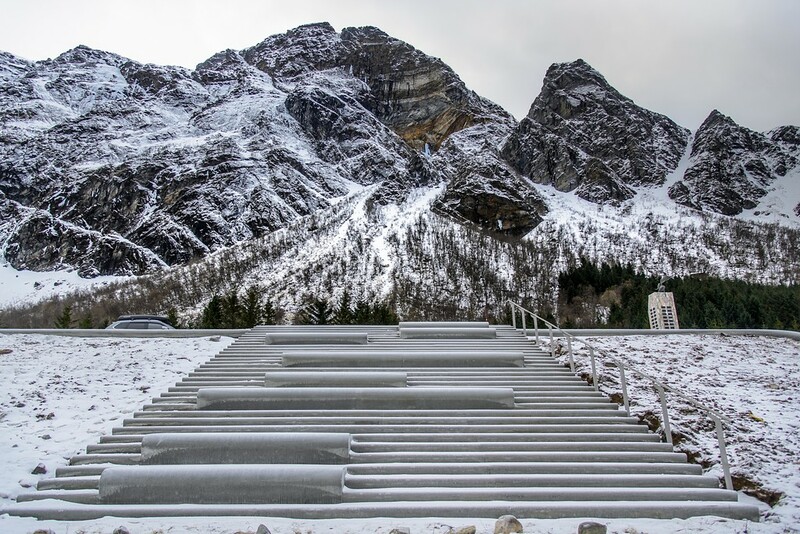 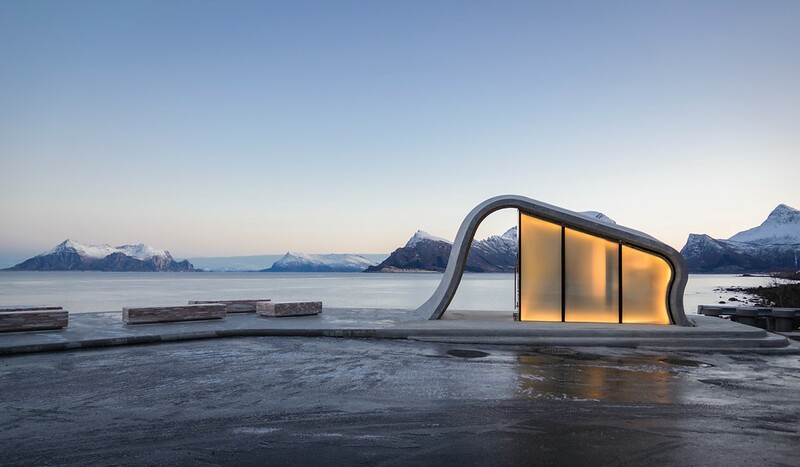 The new project reveals a redesign of the WWII memorial monument for the submarine “Uredd”, existing element on site which gave it its identity and name: “Ureddplassen", which in Norwegian means a fearless place. 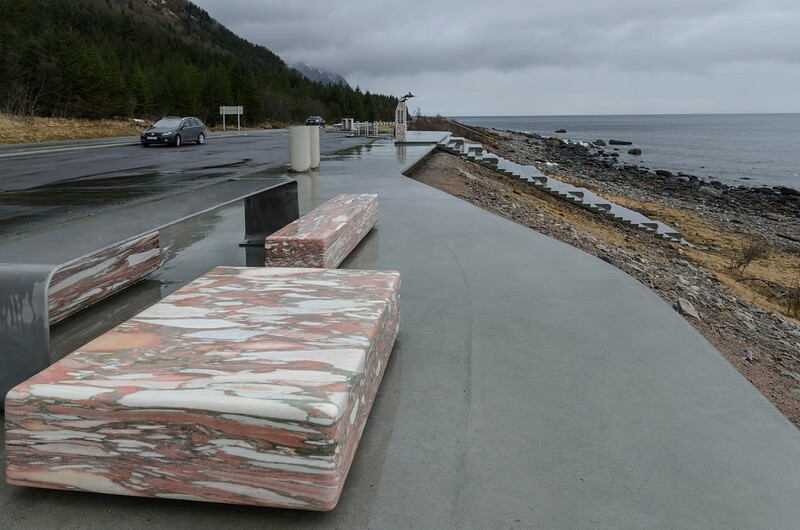 The new rest area consists of a large poured concrete terrace facing the sea. 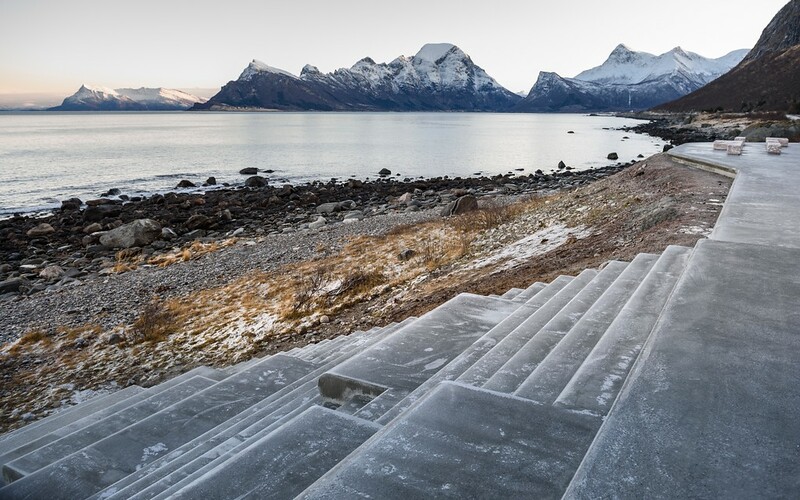 From the concrete terrace, an amphitheater rolls down to the shoreline, making the shoreline accessible. 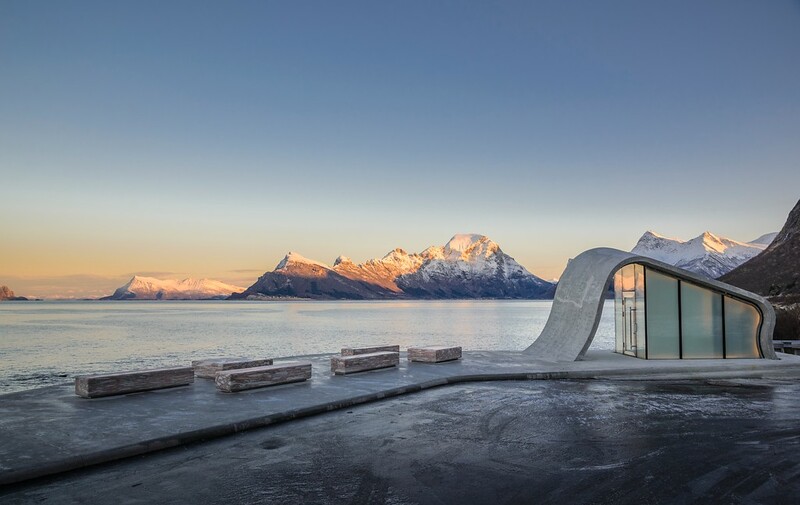 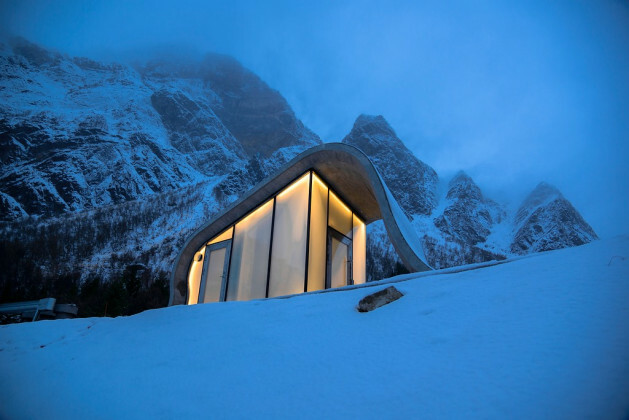 On the terrace seating benches in the characteristic marble from Fauske are established, alongside a toilet building with a concrete ceiling that waves up from the terrace’s surface.